Our sweet Coolibah Downs couple Jade and Blake recently tied the knot on a picture-perfect Saturday in April. Their stunning autumn wedding was filled with elegant details, breathtaking florals and a timeless white and green palette. We absolutely loved hosting Jade and Blake's special day at our hinterland venue, from their intimate garden ceremony to their romantic fairy-lit reception. Jade’s family had previously celebrated another wedding at Coolibah Downs, with Jade’s twin sister also set to tie the knot here in February 2019! Building relationships with not only our couples, but also their families, is something we really pride ourselves on. Our professional wedding team is dedicated to creating a truly personal and memorable experience for each and every wedding. These guys took full advantage of our lush natural surroundings, with their picturesque garden ceremony taking place on our Croquet Lawn. Featuring white tiffany chairs with linen draping, an elegant white 4-post arbour and statement flower wall, it was the perfect location for Jade and Blake’s nuptials. And seriously – could our bride look any more beautiful? We’re still dreaming about that veil! Following some sweet bridal party photos by the lilypond, celebrations continued in our private marquee – styled to perfection with round tables and classic white linen, statement floral centrepieces, crystal chandeliers and twinkling fairy lights to create a warm, romantic ambience. We feel so lucky to have helped Jade and Blake bring their dream wedding to life at our Gold Coast hinterland venue. Keep scrolling to see some of our favourite details from this beautiful autumn wedding captured by Pineapple Images, along with the talented suppliers who helped to make it all happen. You can also check out Jade and Blake’s wedding film from Poetry in Motion right here. 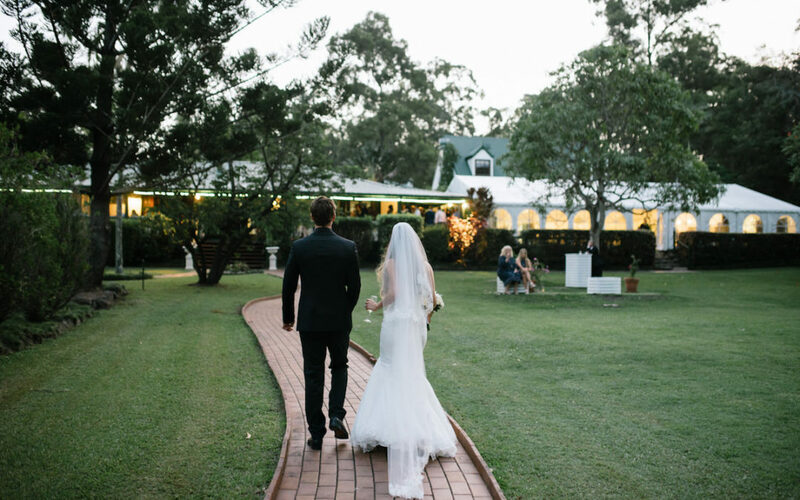 Currently looking for the perfect hinterland wedding venue on the Gold Coast? Get in touch with our dedicated wedding team to book a bridal appointment, or download a copy of our wedding packages. 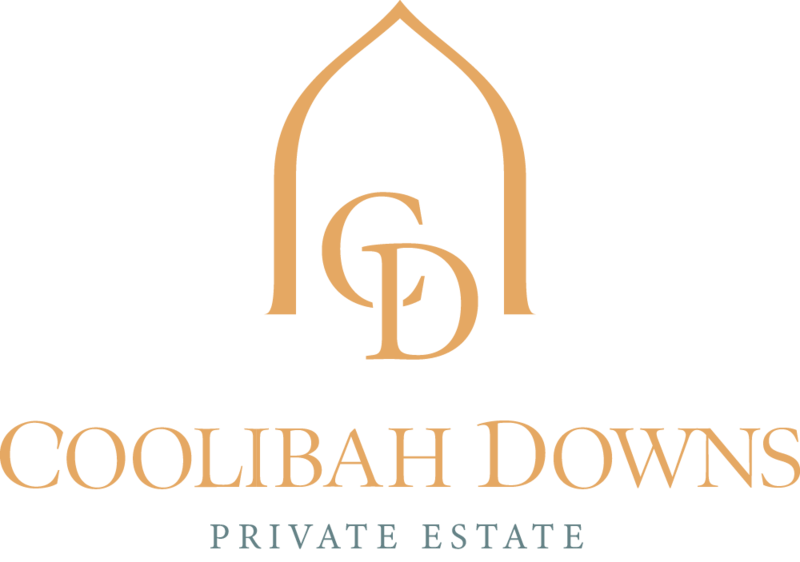 We’d love to help you bring your dream wedding to life at Coolibah Downs Private Estate!